William Cullen Bryant was born in the backwoods of Massachusetts and raised by a strict Calvinist father. Under the influence of the British "graveyard poets" and William Wordsworth, who celebrated the majesty of nature, Bryant wrote the first draft of "Thanatopsis" in 1813 or 1814. This poem won him immediate acclaim when he first published it in 1817. Unfortunately, the life of a poet was not a practical possibility for the young Bryant. He worked as a lawyer and a justice of the peace in Massachusetts until he followed his literary dreams and moved his family to New York City. In New York Bryant began a long and distinguished career in magazine publishing, first as an editor at the "New York Review" and "Atheneum Magazine" and then most significantly as editor-in-chief at the "Evening Post". His editorials in the "Evening Post", focusing on the political events of the day, helped make his newspaper one of the most respected in the country. 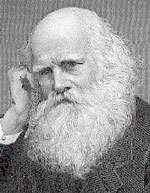 Later, when Bryant was in his seventies, he completed verse translations of both the "Iliad" (1870) and the "Odyssey" (1872) and printed his collected "Poems" in 1876.